Time to ring in a New Year! It will probably take me a few weeks to get used to writing out 2017 instead of 2016. Isn’t that how it always is, though? 2016 was full of ups and downs for us, but mainly ups! 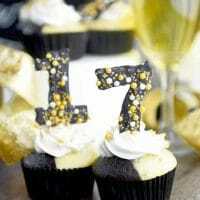 I hope yours was as well. 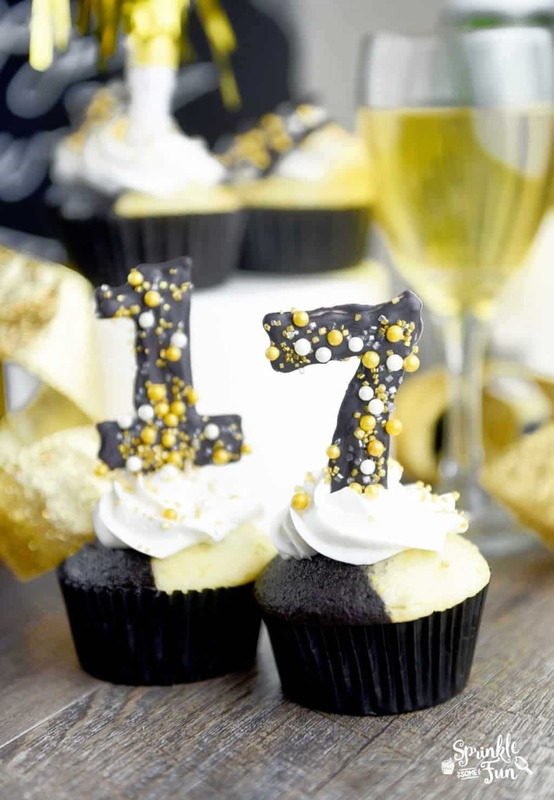 The other day I did a Facebook live show where I made these cute Tuxedo Cupcakes with candy numbers. I think they turned out awesome!!! 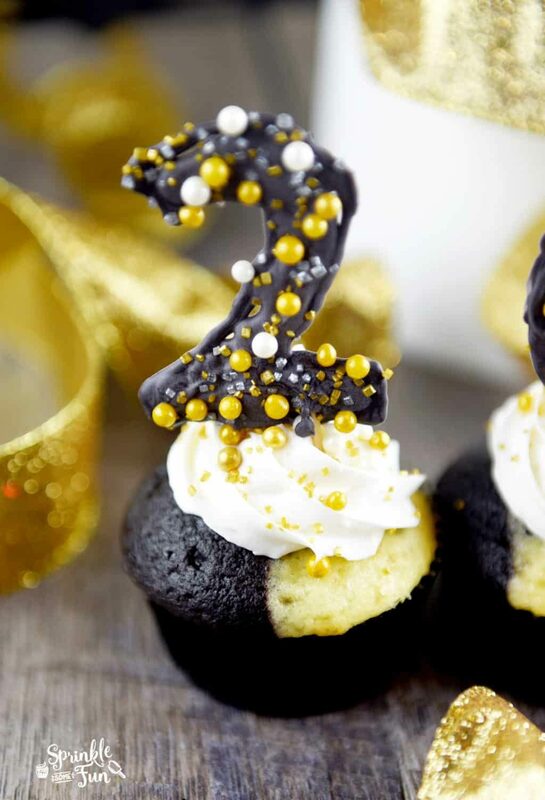 These Tuxedo Cupcakes with Candy Numbers are the perfect cupcakes to have at a New Years Eve party. 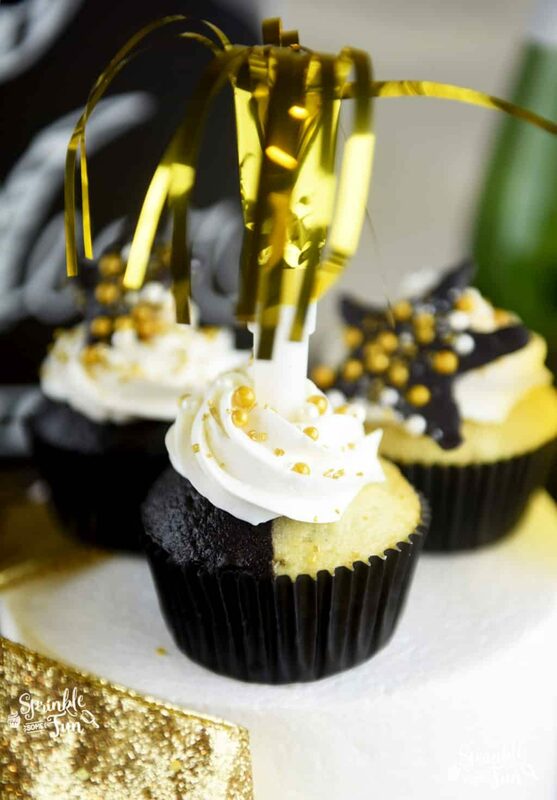 You can also decorate your cupcakes like I did with this party horn or do a mix of candy decorations and the party horns. So easy and fun! For the candy decorations and how to make two colors of cupcakes… you can find the instructions here on Facebook live. Mix the cake mix, water, eggs and 1/3 cup of the butter in a medium sized bowl. Pour half of the batter in another medium sized bowl and mix in the rest of the butter, cocoa powder and black food coloring. Preheat oven to 350 and line a muffin pan with cupcake liners. You should now have two colors of cake batter. Take 3 plastic piping bags that have not been cut yet. Fill one with the white batter and the other with the black batter. Place both bags in another bag evenly. Cut off the bag where the two tips meet see pic above. 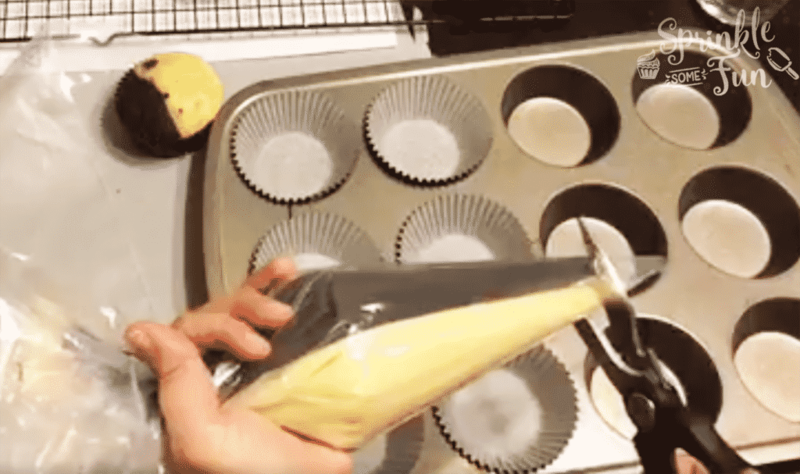 Now carefully fill the cupcake liners with the batters by squeezing the piping bags and holding them still above the liners. Bake as directed on the box mix and let cool completely before icing or decorating! How will you be ringing in the New Year? 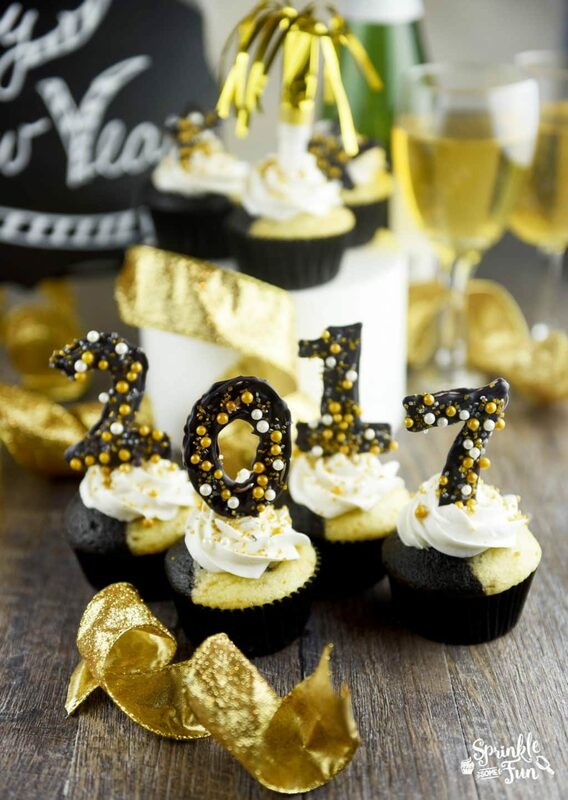 I hope you have a great year in 2017!